The Gir National Park and wildlife sanctuary is located about 65 km south east in the Junagadh district of Gujarat. 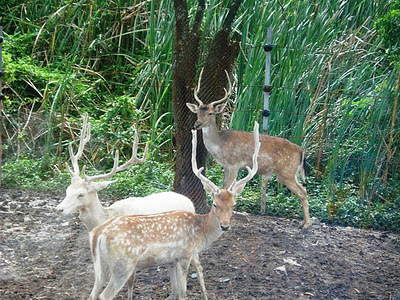 Gir National Park is one of the India’s finest wildlife sanctuaries located in Gujarat. This national park was established on 18th September 1965 as a Forest Reserve to conserve the Asiatic lion. Gir National Park is the last home of the Asiatic lion which roamed freely about two centuries ago throughout Middle East and some parts of India. The national park covers a total area of about 1412 square km. Sasan, with a forest rest house, is the headquarters of the sanctuary. A mixed deciduous forests with teak, babul, ber, jamun, variety of acacia scrubs, wetlands and grasslands and seven rivers forms the topography of this park. 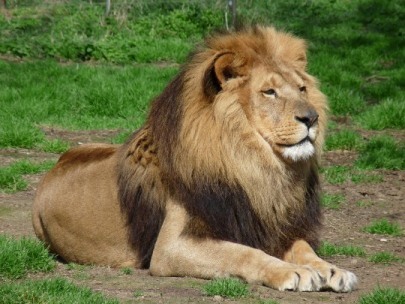 Since 1884, Gir National Park has been the only habitat of the Asiatic lion. During the British Raj, lions were hunted mercilessly by the British officers assisted by the obliging Maharajas and Nawabs. Every Maharaja was proud of the number of lions or tigers he killed during his lifetime. In the year 1899 the famine decreased the lion population so badly that Lord Curzon cancelled his shoot in Gir where he had been invited by the Nawab for a ‘Shikaar’. The Lord Curzon also advised the ruler to protect the remaining lions. By the time India achieved independence, the number of lions get increased, but they were once again hunted by the Maharajas. The Government of India banned the hunting of lion in the mid 1960 and now this park is open only for the photo safaris. The Gir National Park later became a major tourist attraction in India. About 300 lions are found in this park. The main wildlife attraction in the Gir National Park is the lion. Besides lion, the Chinkara gazelle, wild boar, bear, striped hyena, jackal, panther, sambar, spotted deer, the Indian chousingha, nilgai, common langur, porcupine, jungle cat, black napped hare, blackbuck, rusty spotted cat and mongoose are the various other animals that are found in this sanctuary. Besides the animals over 200 species of birds including the peafowl, grey partridge, Bonelli's eagle, crested serpent eagle, jungle bush quail, painted sandgrouse, common green pigeon and several species of doves can also be seen. Gir is also home of the marsh crocodile, which can be sighted easily in its rivers, particularly in the lake of the Kamaleshwar dam. There is also a crocodile breeding farm at Sasan. You can visit the Gir National park by having a jeep safari with a guide. The Gir Forest Department also organize lion shows on every Sunday, where the visitors can watch ions at close range. So they send trackers early morning on a mission to the located places and tempt them with live baits. The Kankai Mata temple and Tulsishyam hot springs are also located within the Gir National Park. These are the natural hot springs where one can take bath. The forest is also known for its cattle herders, the Madharis, whose buffaloes form a substantial part of the lions meals. The nearest railway station is located at Junagadh. Gir National Park is connected to various cities in Gujarat.